The Montreux Jazz Festival is a prestigious event. Although of late they seem to have forgotten the “jazz” part of the name, it’s truly an honor to be invited to play. 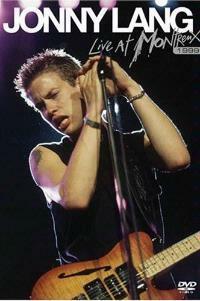 Well, bluesman Jonny Lang made his debut at the festival in 1999 and this DVD captures that show. You will be impressed immediately with Lang’s powerhouse version of the blues. He and his band deliver their brand of the genre with a style and finesse and power that’s rarely equaled. Now, consider this. At the time of this performance, Lang was a mere 18 years of age. His blistering performance indicates a maturity and presence that would seem a direct contradiction to his chronological age. Perhaps that’s what people mean when they say, “old soul.” Whatever the reason rest assured that when it comes to smoking modern blues you just can’t get much better than Lang. This DVD does an excellent job of showcasing his talent. It’s also the only official live film of Lang. That in itself would make it worth having, but this is a killer release that can stand on its own.